Imagine the sound of your mother’s voice. What memories/emotions does the sound of popping popcorn bring? Think of the sound of nails on a chalkboard. How about the sound of a bee buzzing near your head? Each sound evokes feelings within us. Sounds are more than just noise. Human beings make sense of our world from sound. In fact, there are nerves in our ears which are connected to areas in our brains which involve memory, emotion, fear, and our basic alertness levels (among many others). This is why we form feelings that are attached to the sounds we hear. What I find truly amazing is that our body remembers sounds to help us to determine if something is safe or dangerous and then our body reacts in response. When the auditory system develops appropriately, we learn to make responses that fit the sounds we hear. Remember that children with autism and with sensory integration/processing dysfunctions can have difficulty with forming a response to something that they sense. When children hear sounds, they form an association. For most of our children with hearing sensitivity, a loud sound they have heard in the past may have produced a fear reaction or, “fight or flight” response. These sounds are now perceived as dangerous to them. So many of my clients fear fire alarms because they are loud and unpredictable. They have difficulty realizing that the fire alarm is meant to protect them. In fact, for years my own son was so afraid of the fire alarm in hotels that we had to look in the room before actually booking it so that he could see the type of fire alarm being used. This is not at all practical! We simply had no idea how to help him. The same can be said for any sound that may elicit an inappropriate reaction in our children. We must try to work with them via a social story, empathy, and understanding to create a new or more positive memory of sound. Here are some ‘Out of the POCKET Tips’ for helping children. -Do a Google search of pictures of fire alarms (or whatever it is that is making the targeted sound). Print, glue, or draw pictures in the social story and review it often so that your child will be prepared. Adding your child’s pictures and name to make the story personalized is always a great idea for kids. -Encourage your child to list sounds that cause him to be afraid. Make a plan for each sound. For example, when he hears a siren, he can cover his ears, count to ten and take deep breaths. Practicing in advance will help to give him confidence and lessen anxiety. Remember it takes many repetitions for kids to learn what to do, read the story many times and often. -Work with your child’s therapist to form strategies. Fun CDs like Sound-Eaze and School Eaze are available on Amazon for CDs. If you want downloadable CDs, here’s the link to purchase on my website. The CDs have sounds set to gentle rhythm and vocals to help make sounds more tolerable. They are not part of any listening program and are a therapeutic tool. The CDs are designed to give kids control of sounds they would not be able to control under most circumstances. They will learn to associate common tunes with sounds. -Therapeutic brushing and sensory activity diets can also help children to maintain regulation. 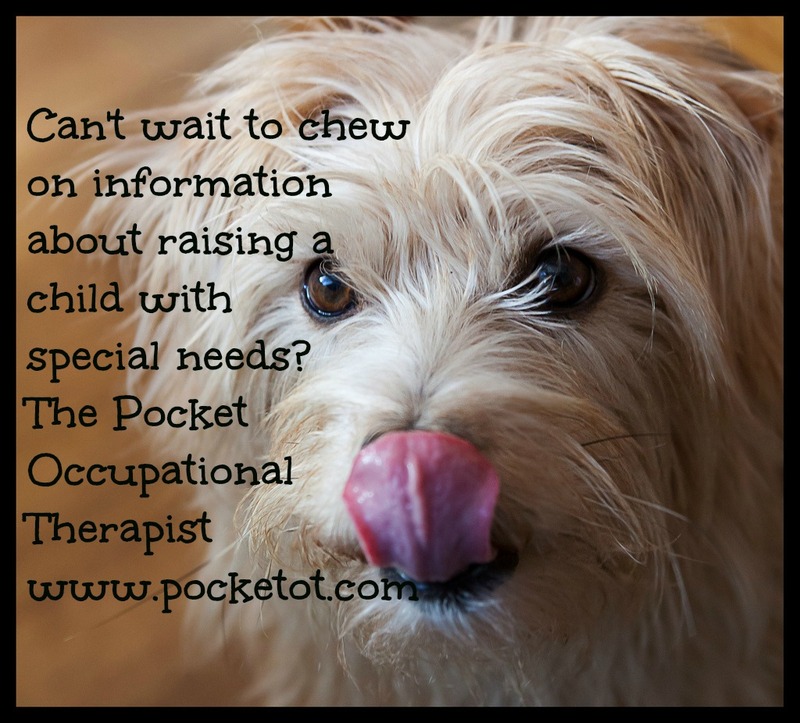 If a sensory activity diet is used, an occupational therapist should be consulted to design a customized plan for each child. No two sensory processing difficulties are the same. The activities are generally done every two hours during the time your child is awake. Interested in learning more about sensory and movement activities? Read my earlier post HERE. -Formal programs such as Therapeutic Listening may be used by occupational therapists to help integrate the sensory system. The programs must be under direct guidance from a licensed occupational therapist or clinician trained in the use of the program. Remember that not everyone is going to tolerate loud sounds. Many people simply need to avoid them when possible. In that case, noise canceling headphones are available. Please share your stories of fear of sound and what techniques you’ve used. I’d love to hear your ideas! I always enjoy hearing from YOU! Looking for information on sensory processing disorder. Read my earlier post here.